The 2018 KW Pet Expo will be the largest pet consumer show in the Waterloo Region where you can learn about pet health care by some of the best and brightest within the industry. You will also be given the opportunity to browse the 100+ vendors for pet related products and services or sit and enjoy one of the many events. This will be a day you can have fun with your family, friends and pet! 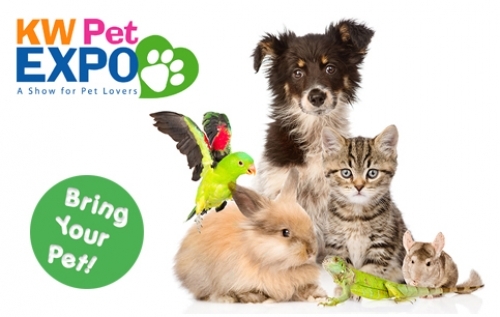 The KW Pet Expo will be held at the Kitchener Memorial Auditorium Complex in the Kinsmen and Kiwanis Arenas. There will be ample free parking available and it is situated close to local transit and major highways.